Arguing About Bioethics is a fresh and exciting collection of essential readings in bioethics, offering a comprehensive introduction to and overview of the field. Influential contributions from established philosophers and bioethicists, such as Peter Singer, Thomas Nagel, Judith Jarvis Thomson and Michael Sandel, are combined with the best recent work in the subject. Each extract selected is clear, stimulating and free from unnecessary jargon. 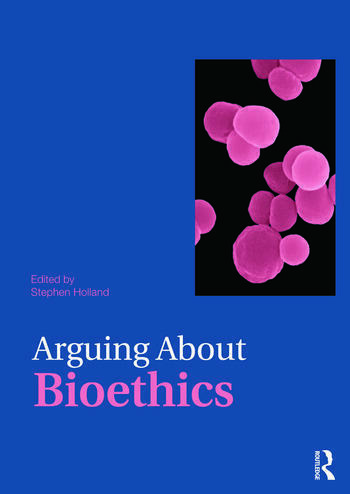 The editor’s accessible and engaging section introductions make Arguing About Bioethics ideal for those studying bioethics for the first time, while more advanced readers will be challenged by the rigorous and thought-provoking arguments presented in the readings. Stephen Holland is a Senior Lecturer in the Departments of Philosophy and Health Sciences at the University of York, UK.